Is pain interfering with your life? Acute and chronic pain can make life miserable, whether the result of injury, headaches, arthritis, menstrual cycle, or other causes. If pain has become a part of your daily routine, explore the many alternative pain management techniques we employ to provide you the relief you seek and deserve. Visit us today for an improved tomorrow. Most people experience significant pain at some time in their lives—whether from an injury, illness, or an unknown cause. Pain is a warning signal, an alarm that goes off when your body is trying to tell you something is wrong and out of balance. No one should have to live with pain, but which treatment is right for you? Quite often, people suffering take medication to dull the pain. Taking medication is understandable when pain is constant and unbearable. It may be helpful to dull the symptoms for a short period of time, but it will not get at the root of the problem and correct it. It is like hitting the snooze button on an alarm. Unless the cause is treated, your body will keep sounding the alarm and reminding you something is wrong. Eventually the pain may get worse or become chronic. It is also possible for the medications to cause unwanted side effects and further compromise your health. Surgery may be another option. At times, this approach may make sense, but it could be both expensive and risky, and there is no guarantee it will be effective. 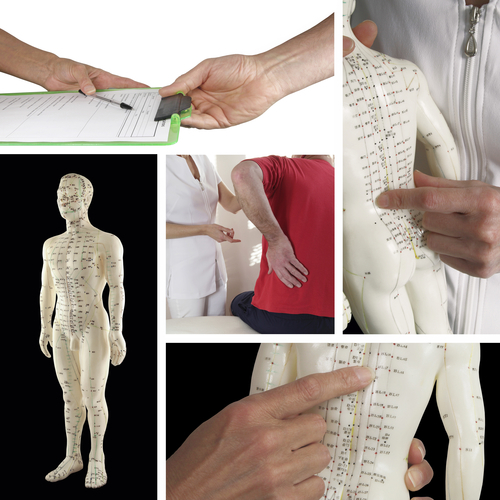 Acupuncture Is A Time-Tested, Safe, Effective, Natural And Drug-Free Way To Eliminate Pain. Unlike other methods of treating pain, there are no side effects. The World Health Organization (WHO) and the National Institute of Health (NIH) acknowledge the benefits of acupuncture in treating and eliminating pain due to a wide range of causes.